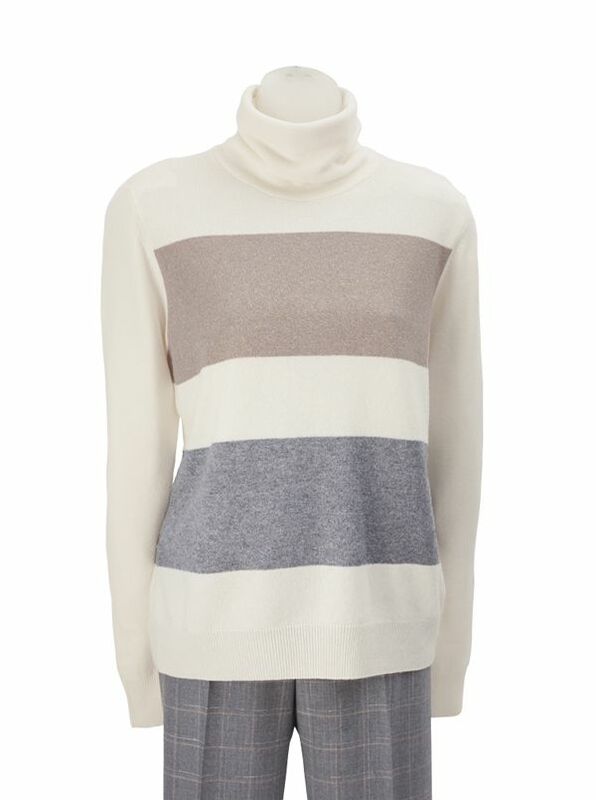 Color Band Turtleneck by Peserico, in a soft, luxe blend of 70% merino wool/20% silk/10% cashmere. With a sprinkle of lurex in the bands for a subtle sparkle. Knitted in Italy with long sleeves, ribbed cuffs and waist.